One of the most feature-packed camera suites out there resides on the Sony Xperia Z2. Along with the regular camera and video modes, it comes with Motiongraph, AR Effect, and Social Live. Up until now, most of these features were exclusive to the Xperia Z2, but XDA user Vipul Verma has successfully ported them to work with pretty much any device running Android 4.1 and above. You will need a custom recovery to flash this camera, so make sure you have that and an unlocked bootloader. Before we flash the new camera, make a backup. When you install this hack, it will add a few files to your system, so if anything goes wrong, you will need to reinstall the backup—this can easily be done from TWRP -> Backup. Download the linked .zip file below, and once it has finished, reboot into recovery. Once you boot into TWRP, tap Wipe, then select Cache and Dalvik Cache. Now that your device is clean, you are ready to install. Tap Install, select the .zip file you downloaded, and Swipe to Confirm Flash. Tap the option to Wipe Dalvik/Cache after the flash is complete, then hit Reboot. There will not be a unified icon for all of the different camera modes, but you can open each of them individually from your app drawer. You can also put the Xperia Camera Widget on any home screen for quicker access to four of the different camera modes. 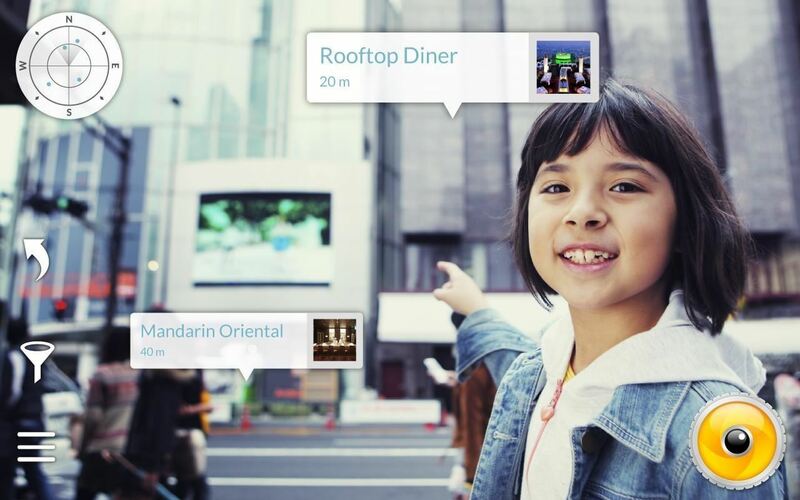 Social Live is an easy way to broadcast your life to your Facebook friends. 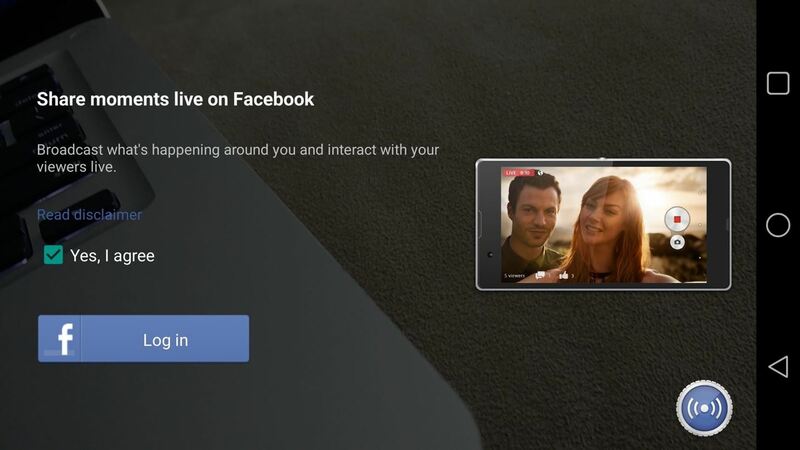 It links to your Facebook profile and can post a live-stream video directly to your wall. You can also select which friends can watch your stream—all you have to do is tap the gear icon by your profile picture and select who you want to give access to. Because of the "broadcasting" aspect, this feature will eat away at your data, so be sure to only use it while on Wi-Fi if you have a limited data plan. This is by far my favorite camera mode. AR Effects adds augmented reality capabilities to your camera. There a few different overlays you can add to your shots, but the great thing about them is that they move and interact with the environment. AR Effect for Line only works with the rear-facing camera, but AR Effect works for both. 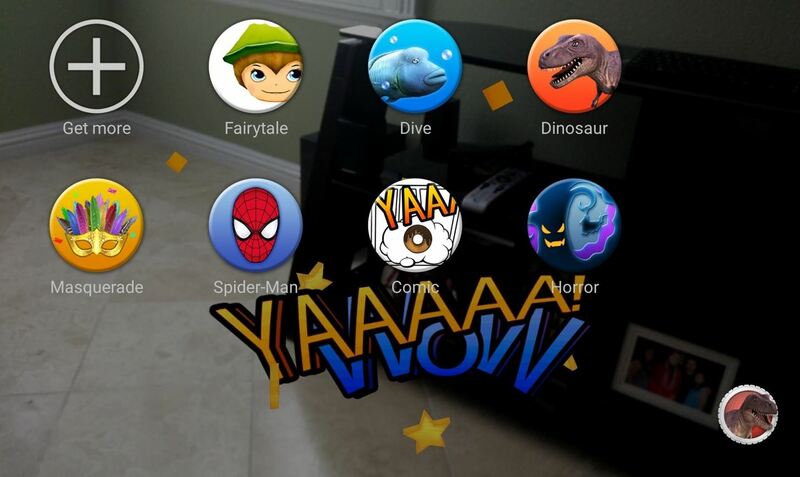 Line is specifically for the Kawaii characters, but AR Effects supports everything from dinosaurs to butterflies. For even more themes, update the app through Google Play and tap the Get More option from the scene selection section. Motionshot and Motiongraph are already standalone apps, but why pay for something that you can get for free, right? Motionshot records a short video, then stitches the different frames together to make a photo showing the progression of the figure moving in the photo. 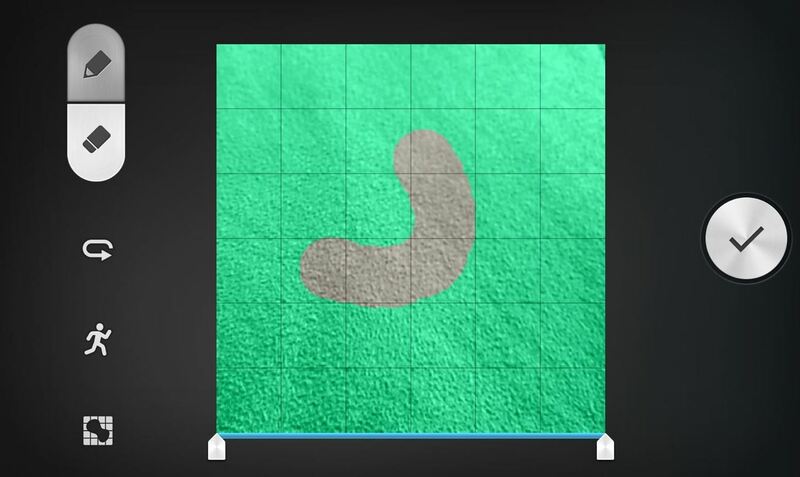 Motiongraph, on the other hand, records a video and allows you to select a few sections of it that will continue moving, leaving the rest completely still. For a better understanding of what that means, check out the video breakdown above. Wikitude Places is sort of like Yelp Monocle, but instead of showing you only restaurants, this app also includes sights, hotels, events, and more. You will need to grant the app access to your location data to get accurate results, so be sure that location services enabled. Background Defocus is also included, but is broken on many devices (including my OnePlus One), so I would stick with Google Camera for that feature. The dev has stated that he does plan on porting more features over, so keep checking back to stay up to date! Nope. That app still hasn't been ported. is it working on xperia c ? You should be able to download more by updating the app and tapping Get More from the filter select screen. hi andrew. i am yet to try this. will this app (being flashed) replace my stock camera? Or will my stock cam app not affected. You will have both the stock and Sony camera after flashing this. Hi. I need help. I flashed it correctely following the tutorial. Apps and widget are present but when I log my phone on, it shows me that message: "Unfortunatly, camera common has stopped" and when I try to open camera app or one of other apps installed with it, I get that message: " Camera not available". I'm using Xperia ion (LT28H), Android Jelly Bean 4.2.2 official room. Try using this ported camera from XDA. HELP! when i open camera It say "WARNING, camera failed"
Hi, i need help. I followed your procedure correctly but its not working. Once I try to launch the camera, it displays an error message saying 'cant connect to camera'. I am using Xperia P(LT22i). Custom Rom, Android KitKat 4.4.4.
is it compatible with touchwiz ? I am using Note 2. Was wondering if i could flash it ? It should work. Try it out and let me know. Thank you very much, Andrew. I tried it yesterday and it's working on my LG G2 without any problem. However, today I have tried to scan the downloaded .zip on virustotal and one of the virus search engines (kingsoft) detects an unknown virus. I assume it is a false positive given your reputation on this site and the fact that all other engines (and two different antivirus on my phone) report it to be clean. Please confirm it is 100% safe (as I guess, but I don't know where this false positive can come from). Thank you very much for your great work and Merry Christmas.. It is most likely a false positive. Which device/android version are you using? Can it will be work in micromax A114.. I am not sure, but if it is running Android 4.1 or above it should. Yes, your original camera will still work 100%. 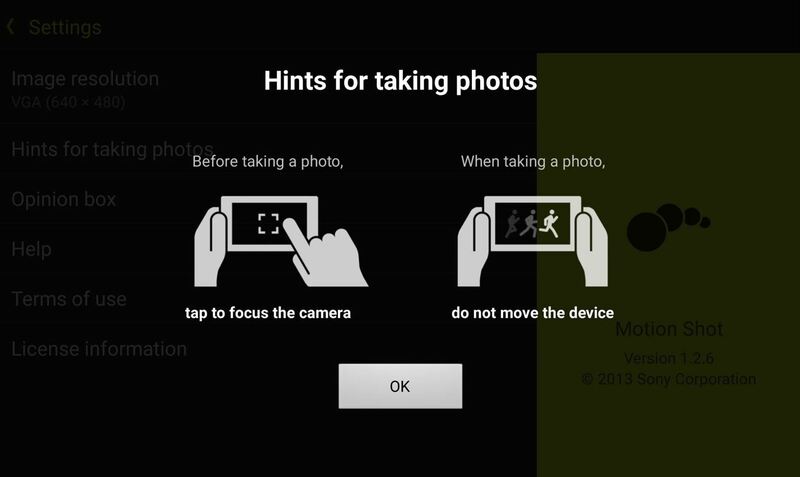 Use this link to download a different Xperia Camera zip that should work on Samsung devices. Andrew how do you update the app. I have note 2 with custom ROM I cant update it in play store. It says its incompatible with my device. Thanks andrew i will try it now. But should I delete tha old one or Gast flashing ..
it's not working to I flashed and The same problem exists when I press on the image of the dinosaur in the ar Effects The program closes, I lost hope man , is there another solution ? Try updating the app through the Play Store and see if that fixes your issue. I have a nexus 5 running 5.0.1, will this work on my deivice? I'm not sure, try it out and let me know. Is it working on LG G3 running cm12? I am not sure. Try it and let me know. Does this enhance my camera? I use Yu Yureka which has a Sony Exmor RS IMX135 sensor on it. The same sensor is being used by mobile phones like Samsung Galaxy A5, Moto X, Samsung Galaxy S4, LG G2, Lenovo Vibe Z etc. And I am not getting the same quality . All these days, I've been looking for the ways to enhance my camera quality especially the colour reproduction of images which is no where near the Sony Devices inspite of having sony Lens. It may improve the quality. Try it out and let me know! Did it improve the colour reproduction in your one plus one? I don't need all those artificial effects, I only need greater colour reproduction (good dynamic range). Is there any difference between the colours of images taken by the stock Cyanogenmod camera and Sony Z2 Camera? Can you attach images showing the difference(It will be very helpful)? I've personally gotten the best results from the ColorOS camera on my OPO. It should install fine with CWM. This app is of no use for me now as I read on Xda that the superior auto mode and manual mode don't work. I don't need all the extra-effects. I only need the kind of colons which sony/Samsung takes. How to update the app from play store its incompatible and doesnt show in myapps list?? If the apps are already installed on your device they should be available to update through the Play Store as long as you are running a compatible Android version. AR effects are not available for my device that is note 2 with custom rom running 4.4.4. I have installed it using the procedure given but I still cant see it in my apps in play store to update it. Though I can see vine in my apps. How to download more AR effects since I am not getting the get more or plus sign in the effect window. Your issue is most likely being caused by a conflict with your ROM. Please help. I had another version of this flashed on my Z2 running CM11, but none of it worked. I was in no rush to fix this as the existing camera app still functioned fine. However, after flashing this zip, no app that uses the camera will work. Either it force quits immediately upon opening, or I receive an error message saying "Can't connect to the camera" Thank you in advance for any help. If you followed this guide you should have made a backup before installing so just flash the restore file and everything will be fixed. i really want the ar effects !! does it work on cm12 5.0.2 version ROM????? 'unfortunately camera common has stopped"
That is an error based off the ROM you are using. This app is only intended for stock/near stock ROMs, so it can be a hit or miss on CyanogenMod ROMs. does it have touch capture? Nope, it is set to touch to focus. 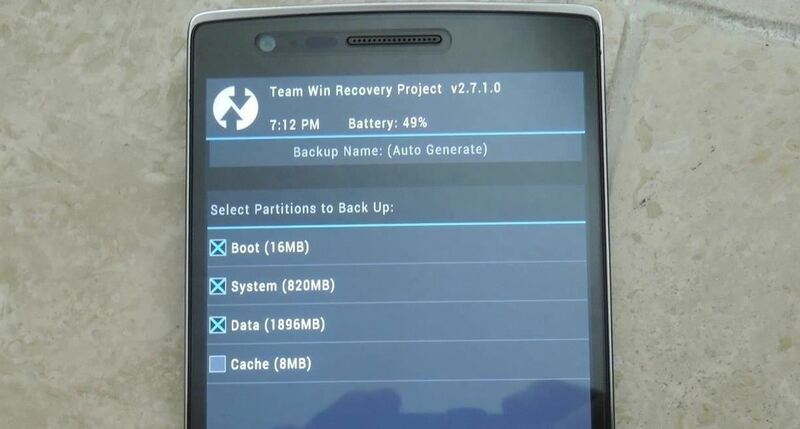 Is your device have an unlocked bootloader and TWRP set as the recovery? I flashed it on my redmi 1s (4.4.4) as said in instruction. But after restaring device nome of the four apps working. Even my stock Mi camera also not working. Only it showing the blcack screen. Try going back into TWRP's Wipe menu and clearing the Cache and Dalvik Cache. If it is still not working after that you will need to restore the nandroid you created prior to flashing. Which phones are you using? I do not have access to that device so I cannot say for sure, but if you do plan on trying it out be sure to make a back up through TWRP first. It should work, but make a nandroid before trying it out. did this work on elephone p2000 mtk6592 ? 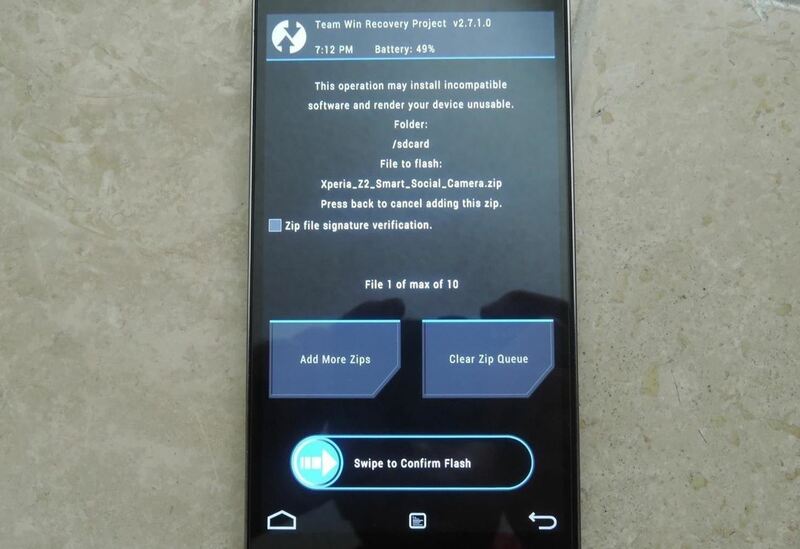 Are you using the latest version of TWRP to flash it? Hey man i believed it couldn't work on my device I have a sg core dos duos (sm-g355m) with a stock rom kk 4.4.2, I followed all the steps and wow it works very well, thanks so much !! Do you thin it will work for Lenovo K3 Note Nexus ROM LP 5.1? It may work, but make a nandroid before attempting. It should work, but just in case make a nandroid through TWRP before flashing. I want to now How to Unflash this?